Take 1 lb sweet apples, commonly called sarïb  boil them in water until soft. Remove from heat. Let cool. Peel them and remove core and seeds. Put them back into the pot with 1 lb sugar. Add a bag with an aloe left cut to fit into it. Cook the apples into a syrup. 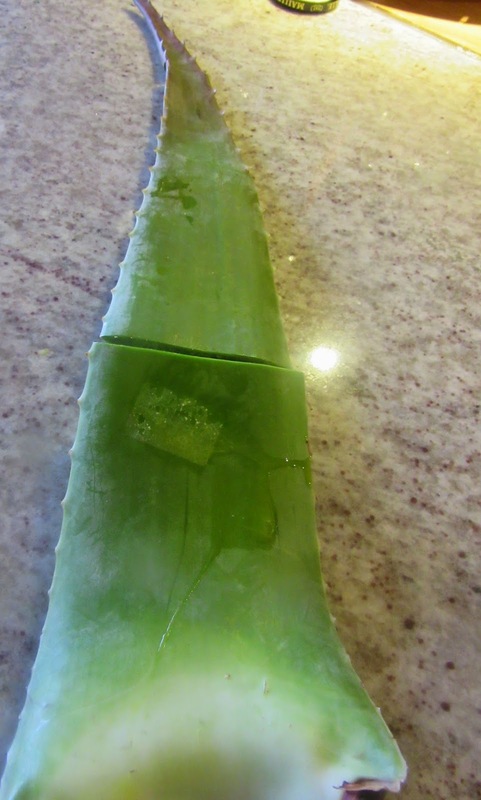 Remove from heat and press the stewed aloe leaf. Add the juice to the applesauce. 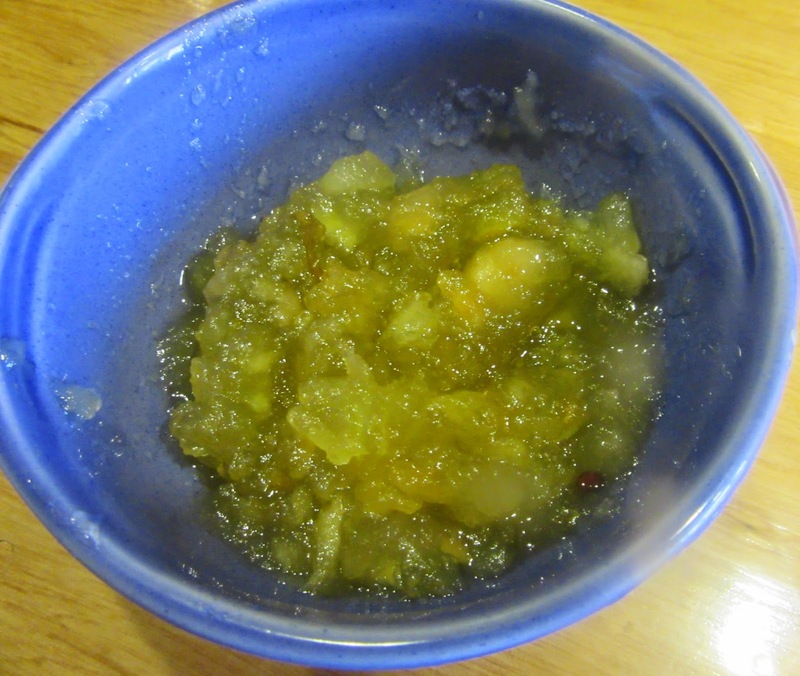 The recipe advised to drink 1 oz of the mixture in 2 of hot wate but without water it is a special apple sauce. The recipe indicates that the watered down version has the following benefits: it fortifies and gladdens the heart. Se toma una libra de manzanas dulces, de las llamadas por el pueblo sarïb; se cuecen en agua que las cubra hasta que se deshagan y salga su sustancia, luego se clarifica y se toma lo claro y se añade a una libra de azúcar. La bolsa. Palo de aloe, una onza que se maja y se pone en la bolsa<, se cuece hasta que toma forma de jarabe. Se bebe una onza de dos de agua caliente. Sus ventajas: fortalece el corazón y alegra. Take a ratl of sweet apples, those that the common people call sarîj [this might mean "little lamps"], cook them in water to cover until they fall apart and their substance comes out, then clarify it and take the clear part and add it to a ratl of sugar. The bag: an ûqiya of aloe stems, pounded and put into the bag. Cook until it takes the form of a syrup. Drink an ûqiya in two of hot water. Its benefits: it fortifies and gladdens the heart. Perry says this could mean “little lamps,” while Huici maintains it is village.